Log in to your Inbox.com account. Click on the "Get It Now!" button. 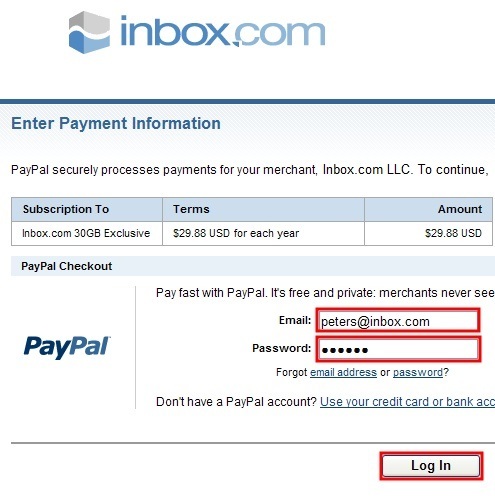 Log into your Paypal account or create a new Paypal account. Click on the "Pay" button. Click on the "Back to Inbox.com" button. 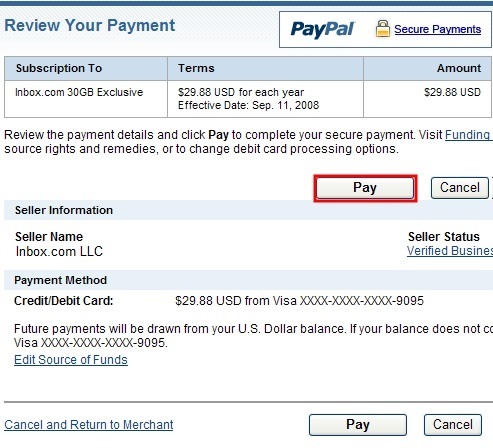 It may take few minutes or hours before we receive confirmation of the payment from Paypal. Your account will be upgraded as soon as we receive it. You'll be notified by an email. 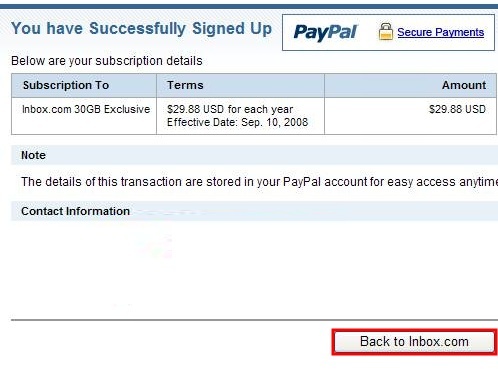 As you have canceled your subscription, you will receive an email notification 14 days before your account upgrade expires.